Seeing all the pieces of an intricately planned heist fall into place onscreen, the puzzle taking shape right before your eyes, is an immensely pleasurable feeling; but sometimes, just seeing yourself represented onscreen is enough to elicit strong reactions. 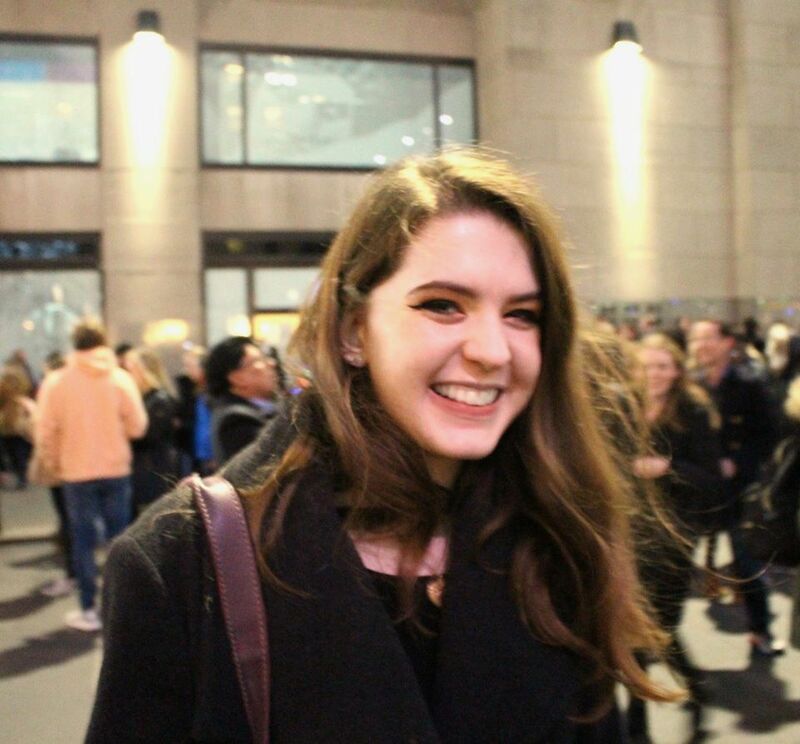 After seeing Wonder Woman, Twitter user @megsauce wrote: “NO WONDER WHITE MEN ARE SO OBSCENELY CONFIDENT ALL THE TIME I SAW ONE WOMAN HERO MOVIE AND I’M READY TO FIGHT A THOUSAND DUDES BAREHANDED.” In reaction to Black Panther, @LeeColston2 wrote “This is what white people get to feel like ALL THE TIME?!!! !” When I saw the heist movie Ocean’s 8, and watched in awe as an all-female team infiltrates the Met Gala and makes off with hundreds of millions of dollars’ worth of jewels, I asked myself—is this how badass men feel all the time? Is this why they feel like they can get away with anything? When each member of the stacked team—Sandra Bullock, Cate Blanchett, Anne Hathaway, Mindy Kaling, Sarah Paulson, Awkwafina, Rihanna, and Helena Bonham Carter—pulled off their part of the con to steal a Cartier necklace, and the pieces fell into place, I was filled with an immense sense of what I can only try to describe as satisfaction. The film, despite its flaws, perhaps accomplished the most important thing of all—it left me wanting to be part of the group’s next heist, and feel like I could be part of it. Ocean’s 8, directed by Gary Ross and written by Ross and Olivia Milch, builds off of Steven Soderbergh’s Ocean’s trilogy. But it is not a “gender-swapped” version of those films in the strictest sense, because women are not being put in the same roles as the men before them; rather, it is a spinoff. Debbie Ocean (Sandra Bullock) is a professional thief, recently released convict, and sister of George Clooney’s Danny Ocean. Her plan after she gets out of prison sounds simple enough: steal the Toussaint, a Cartier necklace worth $150 million, off the neck of famous actress Daphne Kluger at the Met Gala. The other seven women she enlists portray characters that are informed by tropes from the previous Ocean’s films, but are still all their own. Though Ghostbusters, another film that puts women in a traditionally male genre, seems to be the most frequently talked about forerunner to Ocean’s 8, it is not the only one. Ocean’s 8 comes at a time when reboots and sequels are everywhere—films like Fantastic Beasts series, Deadpool, and Solo show that spinoffs continue to be made regularly by studios, and putting female characters into the mix is an obvious choice, as studios presumably are starting to finally realise that their audiences aren’t homogeneous. Yet while there are other factors to consider about the making of this film beyond gender, the all-female nature of the story is undeniably its most dominant and important feature, and its reason for existing. The characters within the story seem to have more ambivalence about the centrality of gender to their heist than the heist actually does in practice. While assembling her team, Debbie rejects the suggestion of a male accomplice, not purely on principle of having an all-female team, but for perhaps more practical reasons: “I don’t want a him! A him gets noticed, a her gets ignored, and, for once, we want to be ignored.” It might seem impossible to imagine a world where these women can go unnoticed, since the viewer might see them as the celebrity actresses rather than the people they play—but they all sneak into the Met Gala unnoticed, even real-life Met Gala co-chair Rihanna as her hacker character Nine Ball. That line could practically serve as a distillation of the whole film’s self awareness about what it is and what it represents—women are taking all the forces working against them and using them to their advantage, twisting expectations. The fact that the team is all women—and includes queer women and women of colour portraying them—is not incidental, but is exactly what allows the 8 to succeed together. Going in, I have to admit that I was initially worried about what approach this would take, that this film would be a “Heist Movie… For Her,” with a studio’s misguided representation of what women want. Would it pander to women in the same way that unnecessarily gendered, pink-coloured products in supermarkets do? Would it reduce women to stereotypes? Or would it still have the same energy and bad-assery of Soderbergh’s trilogy? I was pleasantly surprised by the outcome—and even if Debbie might coyly deny it, the gendering feels necessary and purposeful. The film allows the women to bask in fashion, beauty, and visual pleasures, letting each of their versions of femininity be an asset. Nowhere is a more glamorous or fashion-focused local than the Met Gala, which seems like such a perfect target for a heist that it’s almost hard to believe that it hasn’t been done before on film. The 8, transitioning flawlessly from disguises to gala dresses, make the whole ordeal look easy. On that point, one of the problems in creating tension is that the stakes don’t seem high enough—that the heist would be successful was never in doubt, though there were a few small challenges and near-misses along the way. The closest thing to a real antagonist here is Claude Becker, an art dealer who betrayed Debbie and got her sentenced to prison, though he remains remarkably oblivious to Debbie’s machinations and plan to gain revenge for most of the movie. Even if plot twists and fraud investigators are introduced in the third act, there is little question that these women are about to make off with millions. Yet despite the lack of major conflict, the film still manages to raise a number of questions that are perhaps more interesting—how do we feel about Debbie’s plot to get revenge on a man who betrayed her? Is Danny Ocean really dead? And what’s the deal with Debbie and Lou? There is a clear subtext of a queer romance between Debbie and her right-hand Lou (Cate Blanchett), which sadly never quite becomes part of the text outright. The two women have a history together, and there is an air of sexual tension throughout the film. The way they talk about each other blurs the line between professional and personal: Lou is described as Debbie’s ex-partner, though it’s not clear whether they’re just referring to their criminal relationship or something more. Perhaps this is something that will be explored further in a sequel, which at this point feels practically inevitable. Sequels or no, Ocean’s 8 manages to fit itself within the Ocean’s cannon while also standing on its own two feet. Despite Danny Ocean’s name being tossed around frequently, longing glances at a photograph of him, and multiple visits to his grave, this isn’t his film—it’s all the women’s, with just enough ties to 11, 12, or 13 to make it clear they inhabit the same world, and maybe set up some crossover for future story lines. Some critics of the film, and of reboots and spinoffs more generally, say that an original vision is preferable, creating new stories rather than simply placing women or people of colour into pre-existing, white-male-dominated ones. And while of course it might be nice to eventually have a heist movie, for example, that isn’t inevitably compared with a male-led series, we have to start somewhere—and if setting this film in the Ocean’s universe is what it takes for a female heist movie to get made, then I’ll take it. Perhaps the next one will learn from this movie’s mistakes, and up the energy or not be afraid to put the characters in peril. 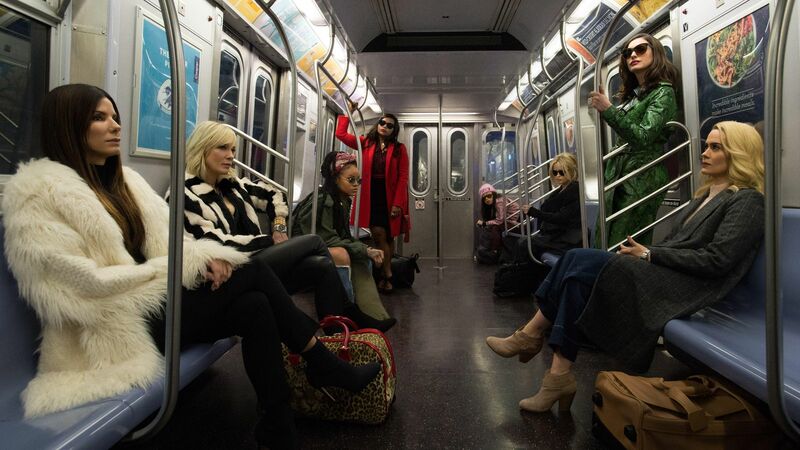 Imperfect as they may be, we can’t underestimate the importance of works like Ocean’s 8, which carve out their own identity in a space that previously made little room for them, blazing a trail for other original, better, more innovative works to follow, and show us how it’s done. In a monologue in front of a Central Park bathroom mirror just before the heist itself begins, Debbie Ocean says to herself: “Somewhere out there, there’s an eight-year-old girl in bed dreaming of being a criminal. Do this for her.” The film is filled with such moments of self-awareness, never taking itself too seriously, but still aware of the power that it has simply by virtue of existing. It’s nowhere near perfect, but now, this group of women, and women like them, are a bunch of “hers” are no longer going to get ignored. I’m not sure what this greater visibility will mean for the successes of the team’s future heists, or the future movies about them; but I do know that for moviegoers overall, it’s something worth celebrating with a martini, just like Debbie Ocean.